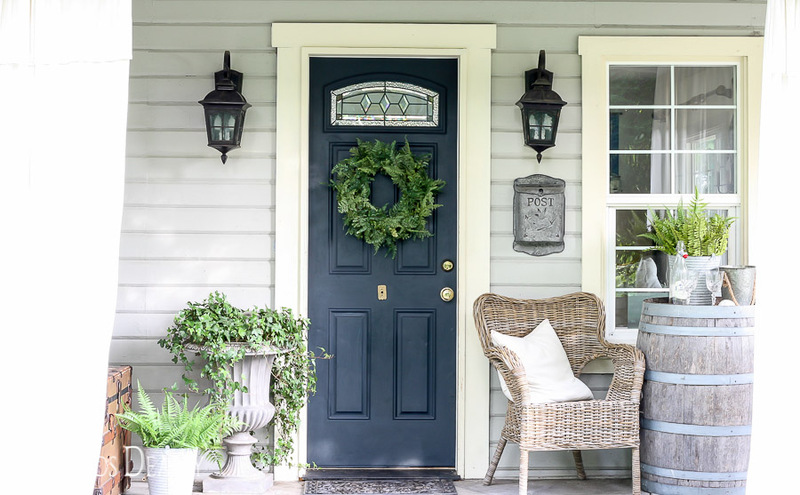 Have you ever seen a wreath you wanted and thought to yourself, “I could make that”? But, then when push came to shove you chickened out OR you really did make it and it was a let down? 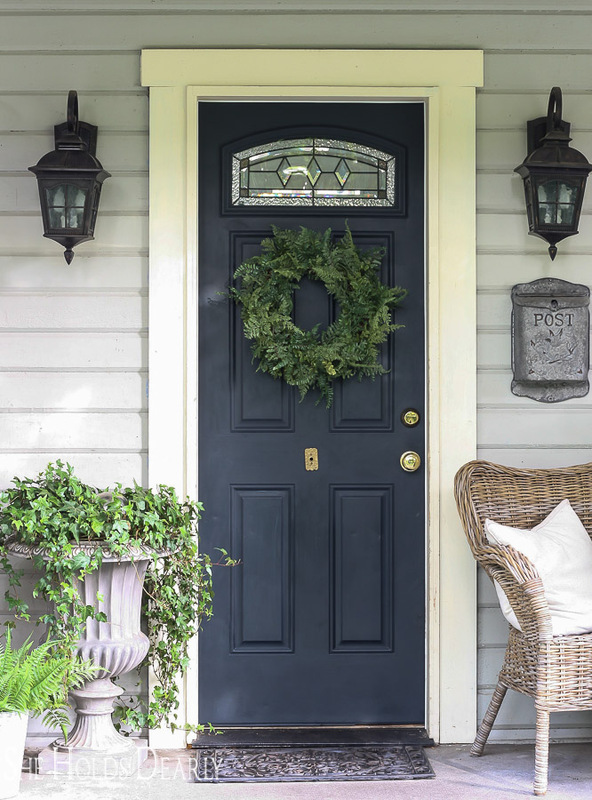 I can show you a few tricks to ensure you get a full, perfecty shaped wreath in just five minutes flat! The first wreath I ever made was from my parents’ grapevines. I was about twelve and knew exactly what I wanted it to look like. I dried the flowers and shaped the wreath out in the garage. I bought some of that crinkled paper ribbon that you have to untwist- do you remember that stuff??? It was mauve because mauve and country blue were all the rage back then. Oh, and my glue gun was mauve, too. So color coordinated! Anyway, I labored over that 3 foot wide (!) wreath for hours and when I held it up- it. was. stunning! I’m not sure how I did it at the age, really. But, people started asking me to make them for them after that. My sister-in-law even asked for one as their wedding gift. It was a very proud moment for a twelve year old! 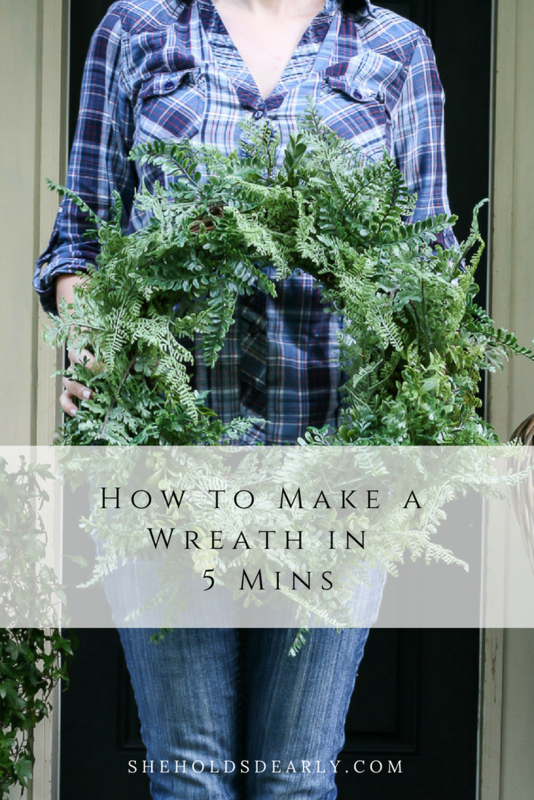 Over the years I have tried several different methods for wreath making and there are three things that seem to work the best- not to mention the fastest. So, let’s get started. . .
Start with a grapevine wreath or a similar vine wreath as your form, not a wire one and not a floral foam one. You need it to have the right shape, not fall apart easily and not look fake if it shows through your foliage. I’m using a 15 inch one in this tutorial. Then, choose your foliage as a garland if you can. I am using two 6 ft fern garlands here. Finally, gather some floral wire and wire cutters. Optional- Command Strips for hanging. Wire down the end of your garland on the outside edge. Cut a few 8-10 inch strips of wire. 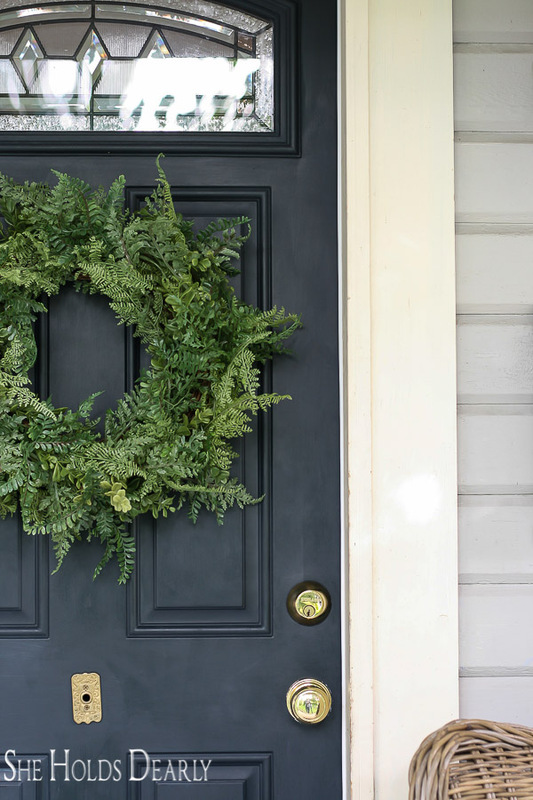 Start coiling the garland around the outside once, then up on the face of the wreath and down around inside. Watch the video below, if I just totally confused you. Tuck in the two ends of the garlands as you add in the second one. Wire everything into place, alternately you can wire the garland into place as you coil. 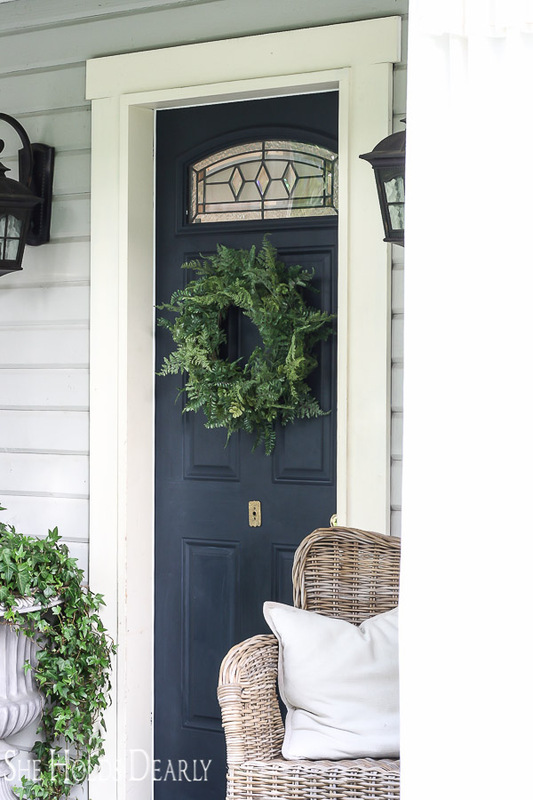 Hold up your wreath and fluff up the foliage, hiding the wire and main plastic vine of the garlands. 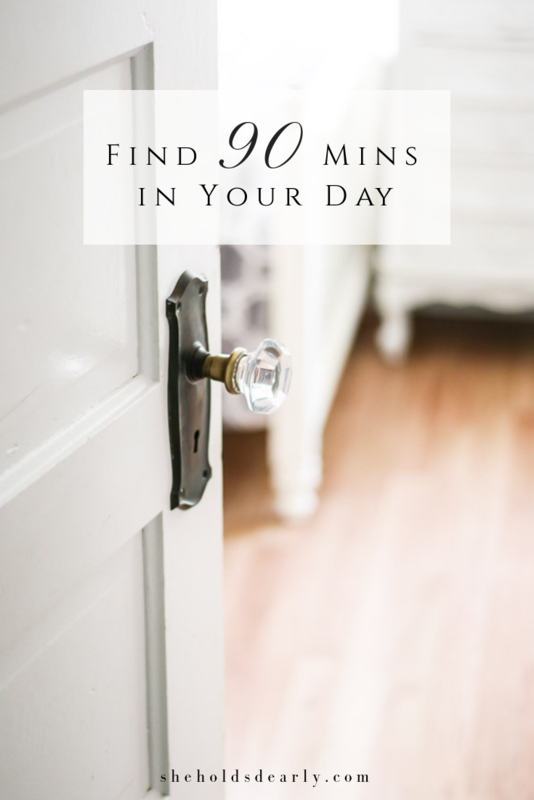 Now go hang your creation somewhere obvious for a fabulous focal point! As much as I love gardening, when it comes to my house I have made peace with having faux plants. 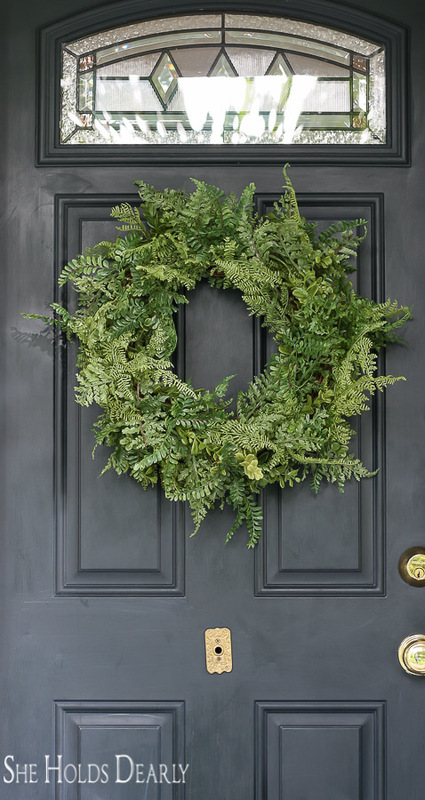 This faux fern wreath will last me for the many years and will easily work for spring, summer and fall decorating! My white porch curtains make this picture look cropped funny! Very pretty. I can’t find the video link ?? 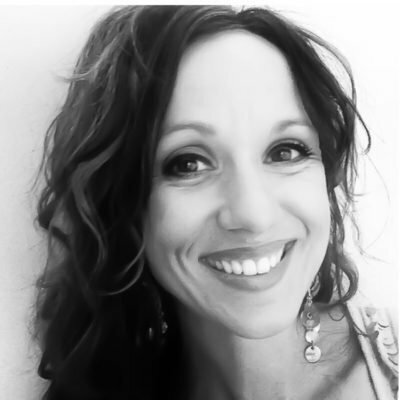 Hi Janice, if you scroll down in the blog post, it is right under the tutorial section. I can’t find the video link either. This is super pretty and super quick to make! I love it! I think I’ll have to swing by Jonn’s And use some coupons. Oh, yeah, tag me on Instagram with your finished product and I will share it in my stories! You talked in the typed directions to wrap the garland around the form (grapevine wreath) over thru and under. But the video looks like you stay just doing circles around and on top and inside. I’m guessing either would work. The video piece probably would hang better against the wall. My question regarding Command Hooks is how do you keep the sticky side that is applied at the factory from not coming off the hooks? I’ve lost several items because I trusted the hooks because I followed the directions explicitly and they let go dropping my hanging. As for Command hooks, the ones I use do not have a sticky side that is applied at the factory. The hooks are separate and reuseable with a little double sided sticky strip that you apply to the wall or door. I would try this type of command strip, I think you like it so much more! :) I have the exact ones I recommend linked in the post. Unfortunately, I returned to watch the video, and it’s now gone! It has seemingly been replaced by an ad video! 15 secs. but no wreath-making video there any longer … I’ve been able to “see” the typed instructions well enough to complete ~ since I’ve made many wreaths through the years! Thanks for this beauty! I made a lovely boxwood wreath just a couple months ago but recently had to discard it because it did turn brown of course. This is super lovely and love the idea of it taking only a little time and of course lasting longer than something real. Thanks for always having such great ideas! 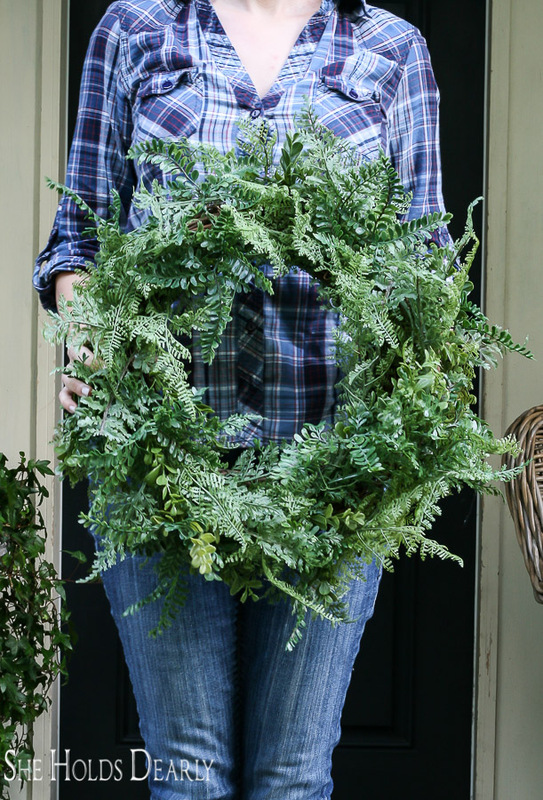 Love the “free-form” look that the fern garland gives the wreath! I’ve been looking for extra-large grapevine/kudzu wreaths….at least 36″. Do you have a suggestion as to where these could be found? My usual online craft suppliers don’t have them. Beautiful. Also, wondering, what paint color is the door? ?